Here's a Bill Stockton painting for today ... a good representation of his later work. 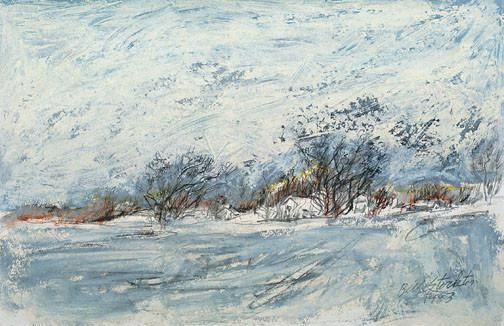 It's called "Village in Winter," and was painted in 1993. Like many of his pieces, it's now in the permanent collection of the Yellowstone Art Museum.